← Merry Winter Pagan Festival! 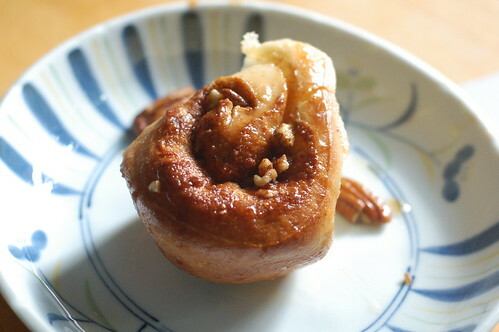 Sticky bun!, originally uploaded by framboise. 1 min of being photographed. This entry was posted in akatsuki eats and tagged baking. Bookmark the permalink. We like the photo and believe the buns are delicious; please send me recipe so that GrandMa can bake for me. Grandma will get recipe when she’s here. Used the breadmachine to make the dough; super easy!